Once again, I could be the only person in the world that does this, but I have Holiday Rituals. These are THINGS I do every time I get some holidays. Admittedly, this time around, my holidays are not quite the same, as I have a two-year old in tow, but I have been, and am still determined to enjoy my rituals. I have always loved to browse through the odd magazine, but I find them super time-wasting and mostly just trash, so I limit myself to reading them during my holidays ONLY. 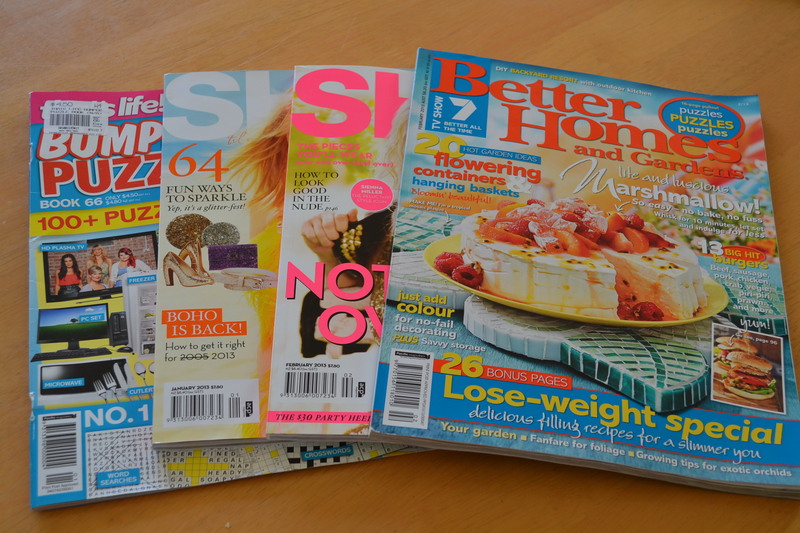 Better Homes and Gardens, That’s Life Bumper Puzzler and Shop Til You Drop make up the current trashy mags this week – weird mix?!?! I find when I am working, I simply don’t have time to watch a complete TV series – unless it’s Masterchef or My Kitchen Rules of course. So I like to set myself a little goal to watch a series, or at least have a good stab at knocking one-off. These holidays it’s been Homeland and The Tudors. Once again, who gets time to book in and truly enjoy one of these self-indulgent things when working? So, I make a point to make myself an appointment (and this set of holidays, a babysitter) and really just use the time to relax. 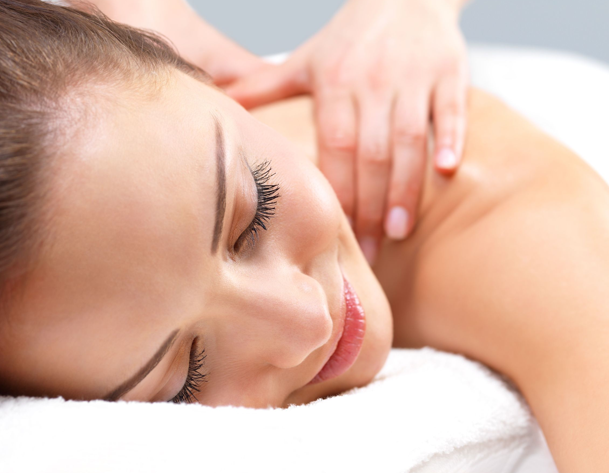 I am having a massage this time – my aching lower back will thank me. Even if it’s just a stroll by the ocean, or a jog in the morning sunlight, I make a point to get some form of exercise in daily. I figure having all this time up my sleeve, allows me to schedule in some exercise. It also makes me feel better when I over-indulge with chips and dips or a glass of Sem Sav Blanc (not these hols though). So, what are your holiday rituals? If you’re currently on hols, this will be fun to share. If you’re not on hols, it might make you feel like you are…even for just a moment in time. Love it Liz! At least you can see there are some things you do differently – and food rituals/habits are super important…and fun! You are making me very jealous with these rituals! As I am not currently on holidays, but not long now – so I will ensure that I include some of these in mine too. This is a great idea, because you are right, who gets the time otherwise!? 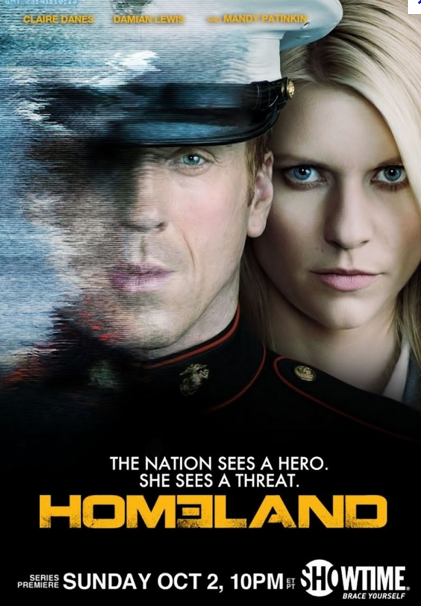 I’m addicted to Homeland! I love Claire Danes!